A/B testing statistics made simple. A guide that will clear up some of the more confusing concepts while providing you with a solid framework to AB test effectively. Here’s the deal. You simply cannot A/B test effectively without a sound understanding of A/B testing statistics. And while there has been a lot of exceptional content written on AB testing statistics, I’ve found that most of these articles are either overly simplistic or they get very complex without anchoring each concept to a bigger picture. Today, I’m going to explain the statistics of AB testing within a linear, easy-to-follow narrative. It will cover everything you need to use AB testing software effectively. 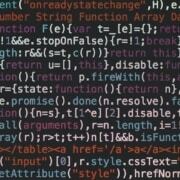 You might have been told that plugging a few numbers into a statistical significance calculator is enough to validate a test. Or perhaps you see the green “test is significant” checkmark popup on your testing dashboard and immediately begin preparing the success reports for your boss. In other words, you might know just enough about split testing statistics to dupe yourself into making major errors, and that’s exactly what I’m hoping to save you from today. Here’s my best attempt at making statistics intuitive. The answer to that questions is that AB testing is inherently a statistics-based process. The two are inseparable from each other. This process is an example of statistical hypothesis testing. But that’s not the whole story. 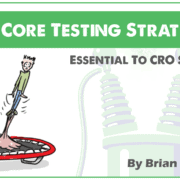 The point of AB testing has absolutely nothing to do with how variations #A or #B perform. We don’t care about that. What we care about is how our page will ultimately perform with our entire audience. And from this birdseye view, the answer to our original question is that statistical analysis is our best tool for predicting outcomes we don’t know using information we do know. For example, we have no way of knowing with 100% accuracy how the next 100,000 people who visit our website will behave. That is information we cannot know today, and if we were to wait o until those 100,000 people visited our site, it would be too late to optimize their experience. What we can do is observe the next 1,000 people who visit our site and then use statistical analysis to predict how the following 99,000 will behave. If we set things up properly, we can make that prediction with incredible accuracy, which allows us to optimize how we interact with those 99,000 visitors. This is why AB testing can be so valuable to businesses. In short, statistical analysis allows us to use information we know to predict outcomes we don’t know with a reasonable level of accuracy. In a tester’s perfect world, the mean (average) conversion rate of any sample(s) we select from the population would always be identical to the population’s true conversion rate. In other words, if you selected a sample of 10 visitors, 1 of them (10%) would buy, and if you selected a sample of 100 visitors, then 10 would buy. 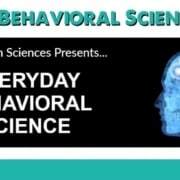 The Freakonomics podcast makes an excellent point about what “random” really is. If you have one person flip a coin 100 times, you would have a random list of heads or tails with a high variance. If we write these results down, we would expect to see several examples of long streaks, five or seven or even ten heads in a row. When we think of randomness, we imagine that these streaks would be rare. Statistically, they are quite possible in such a dataset with high variance. The higher the variance, the more variable the mean will be across samples. Variance is, in some ways, the reason statistical analysis isn’t a simple process. It’s the reason I need to write an article like this in the first place. So it would not be impossible to take a sample of ten results that contain one of these streaks. This would certainly not be representative of the entire 100 flips of the coin, however. 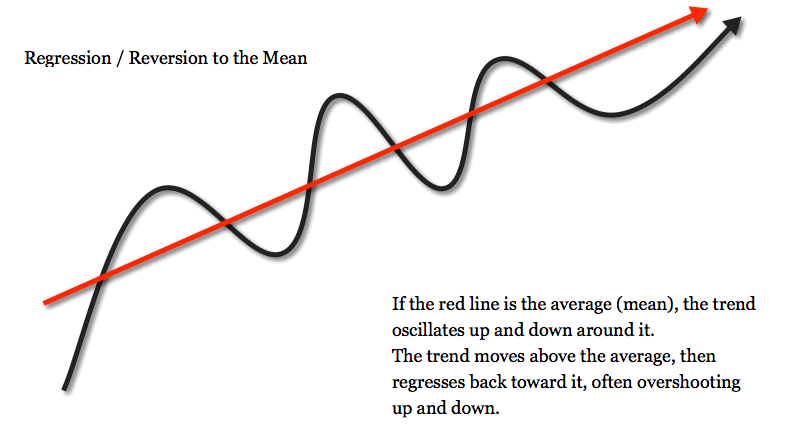 Fortunately, we have a phenomenon that helps us account for variance called “regression toward the mean”. Ultimately, this ensures that as we continue increasing the sample size and the length of observation, the mean of our observations will get closer and closer to the true mean of the population. In other words, if we test a big enough sample for a sufficient length of time, we will get accurate “enough” results. So what do I mean by accurate “enough”? In order to compare two pages against each other in an Ab test, we have to first collect data on each page individually. 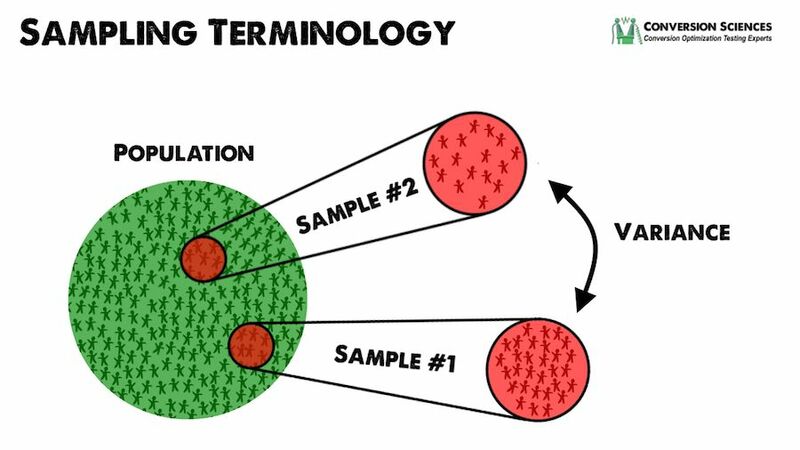 Typically, whatever AB testing tool you are using will automatically handle this for you, but there are some important details that can affect how you interpret results, and this is the foundation of statistical hypothesis testing, so I want to go ahead and cover this part of the process. Let’s say you test your original page with 3,662 visitors and get 378 conversions. What is the conversion rate? You are probably tempted to say 10.3%, but that’s inaccurate. 10.3% is simply the mean of our sample. There’s a lot more to the story. You may have seen something like this before in your split testing dashboard. The original page above has a conversion rate of 10.3% plus or minus 1.0%. The 10.3% conversion rate value is the mean. The ± 1.0 % is the margin for error, and this gives us a confidence interval spanning from 9.3% to 11.3%. 10.3% ± 1.0 % at 95% confidence is our actual conversion rate for this page. What we are saying here is that we are 95% confident that the true mean of this page is between 9.3% and 11.3%. From another angle, we are saying that if we were to take 20 total samples, we can know with complete certainty that the sample conversion rate would fall between 9.3% and 11.3% in at least 19 of those samples. The confidence interval is an observed range in which a given percentage of test outcomes fall. We manually select our desired confidence level at the beginning of our test, and the size of the sample we need is based on our desired confidence level. The range of our confidence level is then calculated using the mean and the margin of error. The easiest way to demonstrate this with a visual. The confidence level is decided upon ahead of time and based on direct observation. There is no prediction involved. In the above example, we are saying that 19 out of every 20 samples tested WILL, with 100% certainty, have an observed mean between 9.3% and 11.3%. 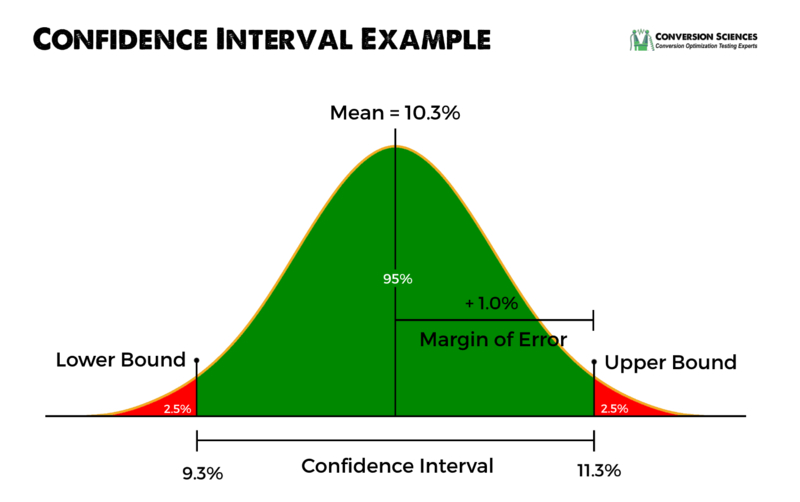 The upper bound of the confidence interval is found by adding the margin of error to the mean. The lower bound is found by subtracting the margin of error from the mean. The margin for error is a function of the standard deviation, which is a function of the variance. Really all you need to know is that all of these terms are measures of variability across samples. Confidence levels are often confused with significance levels (which we’ll discuss in the next section) due to the fact that the significance level is set based on the confidence level, usually at 95%. You can set the confidence level to be whatever you like. If you want 99% certainty, you can achieve it, BUT it will require a significantly larger sample size. 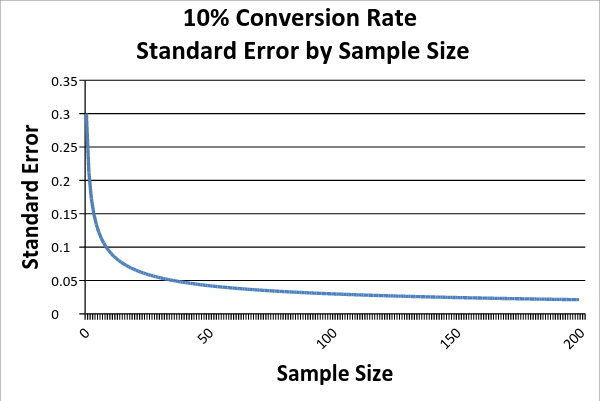 As the chart below demonstrates, diminishing returns make 99% impractical for most marketers, and 95% or even 90% is often used instead for a cost-efficient level of accuracy. In high-stakes scenarios (live-saving medicine, for example), testers will often use 99% confidence intervals, but for the purposes of the typical CRO specialist, 95% is almost always sufficient. Advanced testing tools will use this process to measure the sample conversion rate for both the original page AND Variation B, so it’s not something you are really going to ever have to calculate on your own, but this is how our process starts, and as we’ll see in a bit, it can impact how we compare the performance of our pages. Once we have our conversion rates for both the pages we are testing against each other, we use statistical hypothesis testing to compare these pages and determine whether the difference is statistically significant. 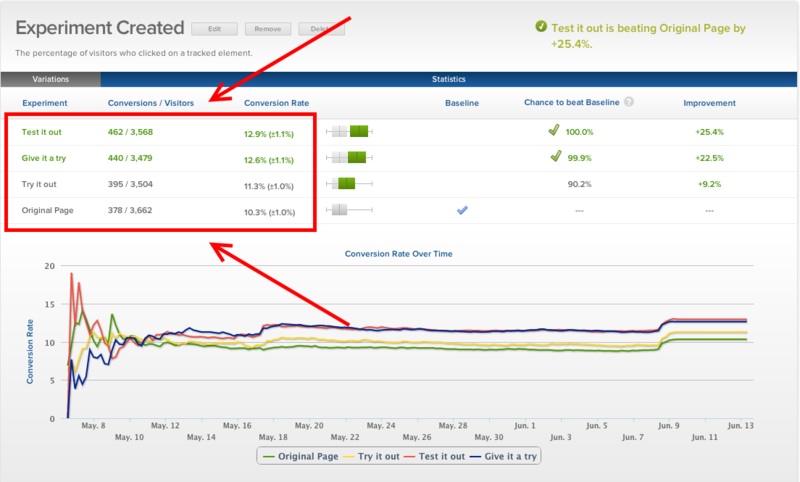 It’s important to understand the confidence levels your AB testing tools are using and to keep an eye on the confidence intervals of your pages’ conversion rates. If the confidence intervals of your original page and Variation B overlap, you need to keep testing even if your testing tool is saying that one is a statistically significant winner. Remember, our goal here isn’t to identify the true conversion rate of our population. That’s impossible. When running an AB test, we are making a hypothesis that Variation B will convert at a higher rate for our overall population than Variation A will. Instead of displaying both pages to all 100,000 visitors, we display them to a sample instead and observe what happens. If Variation A (the original) had a better conversion rate with our sample of visitors, then no further actions need to be taken as Variation A is already our permanent page. If Variation B had a better conversion rate, then we need determine whether the improvement was statistically large “enough” for us to conclude that the change would be reflected in the larger population and thus warrant us changing our page to Variation B. So why can’t we take the results at face value? The answer is variability across samples. Thanks to the variance, there are a number of things that can happen when we run our AB test. As you can see, there are two different types of errors that can occur. In examining how we avoid these errors, we will simultaneously be examining how we run a successful AB test. Before we continue, I need to quickly explain a concept called the null hypothesis. The null hypothesis is a baseline assumption that there is no relationship between two data sets. When a statistical hypothesis test is run, the results either disprove the null hypothesis or they fail to disprove the null hypothesis. This concept is similar to “innocent until proven guilty”: A defendant’s innocence is legally supposed to be the underlying assumption unless proven otherwise. For the purposes of our AB test, it means that we automatically assume Variation B is NOT a meaningful improvement over Variation A. That is our null hypothesis. Either we disprove it by showing that Variation B’s conversion rate is a statistically significant improvement over Variation A, or we fail to disprove it. A type I error occurs when we incorrectly reject the null hypothesis. To put this in AB testing terms, a type I error would occur if we concluded that Variation B was “better” than Variation A when it actually was not. Remember that by “better”, we aren’t talking about the sample. The point of testing our samples is to predict how a new page variation will perform with the overall population. Variation B may have a higher conversion rate than Variation A within our sample, but we don’t truly care about the sample results. We care about whether or not those results allow us to predict overall population behavior with a reasonable level of accuracy. So let’s say that Variation B performs better in our sample. How do we know whether or not that improvement will translate to the overall population? How do we avoid making a type I error? Statistical significance is attained when the p-value is less than the significance level. And that is way too many new words in one sentence, so let’s break down these terms real quick and then we’ll summarize the entire concept in plain English. The p-value is the probability of obtaining at least as extreme results given that the null hypothesis is true. In other words, the p-value is the expected fluctuation in a given sample, similar to the variance. Imagine running an A/A test, where you displayed your page to 1,000 people and then displayed the exact same page to another 1,000 people. You wouldn’t expect the sample conversion rates to be identical. We know there will be variability across samples. But you also wouldn’t expect it be drastically higher or lower. There is a range of variability that you would expect to see across samples, and that, in essence, is our p-value. The significance level is the probability of rejecting the null hypothesis given that it is true. Essentially, the significance level is a value we set based on the level of accuracy we deem acceptable. The industry standard significance level is 5%, which means we are seeking results with 95% accuracy. We achieve statistical significance in our test when we can say with 95% certainty that the increase in Variation B’s conversion rate falls outside the expected range of sample variability. Or from another way of looking at it, we are using statistical inference to determine that if we were to display Variation A to 20 different samples, at least 19 of them would convert at lower rates than Variation B. A type II error occurs when the null hypothesis is false, but we incorrectly fail to reject it. To put this in AB testing terms, a type II error would occur if we concluded that Variation B was not “better” than Variation A when it actually was better. Just as type I errors are related to statistical significance, type II errors are related to statistical power, which is the probability that a test correctly rejects the null hypothesis. You want to test as long as possible – at least 1 purchase cycle – the more data, the higher the Statistical Power of your test! More traffic means you have a higher chance of recognizing your winner on the significance level your testing on! Because…small changes can make a big impact, but big impacts don’t happen too often – most of the times, your variation is slightly better – so you need much data to be able to notice a significant winner. Statistical significance is typically the primary concern for AB testers, but it’s important to understand that tests will oscillate between being significant and not significant over the course of a test. This is why it’s important to have a sufficiently large sample size and to test over a set time period that accounts for the full spectrum of population variability. For example, if you are testing a business that has noticeable changes in visitor behavior on the 1st and 15th of the month, you need to run your test for at least a full calendar month. This is your best defense against one of the most common mistakes in AB testing… getting seduced by the novelty effect. Sometimes there’s a “novelty effect” at work. 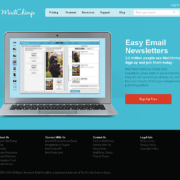 Any change you make to your website will cause your existing user base to pay more attention. Changing that big call-to-action button on your site from green to orange will make returning visitors more likely to see it, if only because they had tuned it out previously. Any change helps to disrupt the banner blindness they’ve developed and should move the needle, if only temporarily. More likely is that your results were false positives in the first place. This usually happens because someone runs a one-tailed test that ends up being overpowered. The testing tool eventually flags the results as passing their minimum significance level. A big green button appears: “Ding ding! We have a winner!” And the marketer turns the test off, never realizing that the promised uplift was a mirage. By testing a large sample size that runs long enough to account for time-based variability, you can avoid falling victim to the novelty effect. It’s important to note that whether we are talking about the sample size or the length of time a test is run, the parameters for the test MUST be decided on in advance. Statistical significance cannot be used as a stopping point or, as Evan Miller details, your results will be meaningless. As Peter alludes to above, many AB testing tools will notify you when a test’s results become statistical significance. Ignore this. Your results will often oscillate between being statistically significant and not being statistically significant. The only point at which you should evaluate significance is the endpoint that you predetermined for your test. We’ve covered quite a bit today. For those of you who have just been smiling and nodding whenever statistics are brought up, I hope this guide has cleared up some of the more confusing concepts while providing you with a solid framework from which to pursue deeper understanding. If you’re anything like me, reading through it once won’t be enough, so I’ve gone ahead and put together a terminology cheat sheet that you can grab. It lists concise definitions for all the statistics terms and concepts we covered in this article. A concise list of statistics terminology to take with you for easy reference. Hey Andrew, no that is in reference to time. Statistical significance should be evaluated at a predetermined end date that allows for a full cycle of customer behavior. One month is a good baseline. A rarely good article, indeed! Statistical power is so often overlooked in A/B tests, that it’s nice to see it mentioned and in detail, too! The assumption of having a fixed sample size (as also discussed in other comments) is what makes robust application of the statistical tools especially hard to apply in A/B testing practice. I mean, everyone wants to end a test as quickly as possible, either to reap the benefits or cut the loses, but the statistical method does not allow for sequential evaluation of the data. Right? Not exactly – the method has been modified to fit the use case of medical testing, which in fact is no different than the one in online marketing and UX. 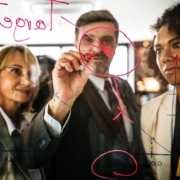 If a robust solution for statistical design and sequential evaluation of A/B tests that allows you to run tests 20-80% faster would be interesting for you, I’d suggest you look into the AGILE A/B Testing statistical approach. A free white paper detailing it is available here: https://www.analytics-toolkit.com/whitepapers.php?paper=efficient-ab-testing-in-cro-agile-statistical-method .